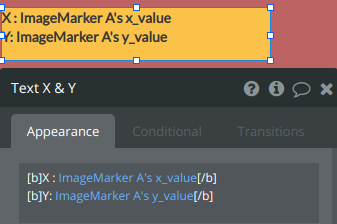 Announcing Image Marker, a plugin containing some visual element-based utilities. Fetches all the data of the marker on click including X and Y coordinates of the images and the markers on the images. 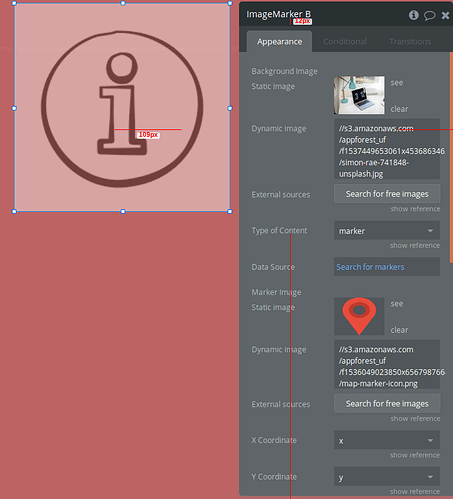 How to use data source for any particular images and markers. 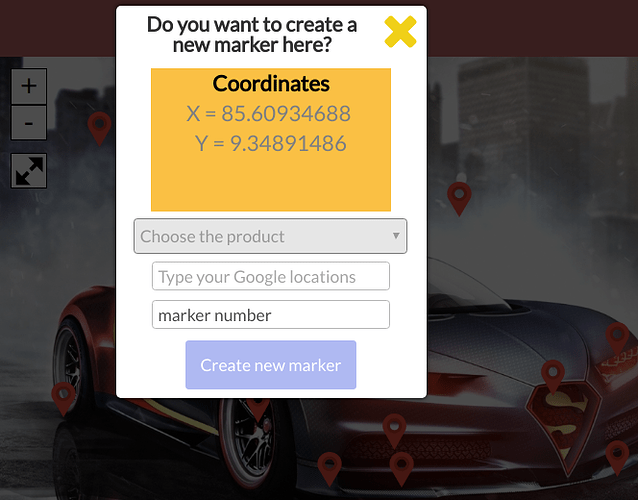 Find the X and Y dimensions by hovering the mouse on the image and markers. Zoom the image as much as you want and zoomed out. click the button and centre the image. User can also drag the image after zooming. and can also check the exact pin dimension. Drag gives the Boolean value. Users can directly create markers by clicking anywhere in the image. 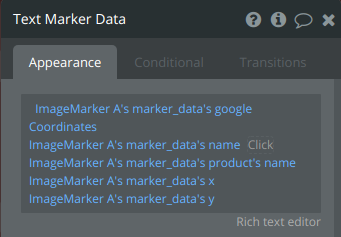 User will be able to save the markers in the database. #multiple image marker elements at a time. Very nice. Looks like I will be your first customer. @aditya.rajak This is AMAZING! Thanks for creating it! Is there an easy way to create a hover effect or something of the sort on the Marker? I’d like to display Data Specific to the Marker when it’s either Hovered or Clicked. Hi @cory, thanks for your views. For the first version I only worked for click functionality for the user Perspective. But I am willing to give the hover feature as well in the next version of clover pin. Thanks! Excited to see v2! Clover Pin is now Image Marker. Nice plugin with some good features, that can make the work easy. 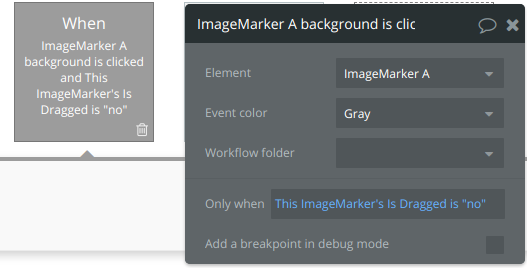 It’s nice to have a plugin with ability to create new markers and change the background image. I cant seem to figure out why the action wont fire. Does this have issues if used in a popup? I have initially build this plugin to used in the pop up. Please shoe me where your getting problem, may be share any screenshot if possible. Thanks @AliFarahat loving this plugin. Hey @aditya.rajak This plugin is absolutely awesome! I have one question though. I would like to store the current zoom state, and I understand it is not possible today. Would this be something you could add? If not, I am more than willing to put the time to enable that functionality. I noticed the source of your plugin is available, so just a few pointers to get started would be enough, I would be more than happy to contribute this addition to your plugin. I am glad that you like this plugin. What do you mean by to store the current zoom state ? Let’s say I display an image and zoom in on a detail and place a Marker. I would like to store the zoom level and position (if possible) so the next time the same image is displayed, it’s displayed with that detail zoomed and in view. Does that make sense? hello @aditya.rajak Is there any known issues that would cause the background action not to fire. I Have the actions triggering on one setup which is embedded in a repeating group… but I have another image marker in a different group, and I can not get ANY actions to run when clicked. I have tried everything I can think of for 2 days. Any help would be appreciated!! This seems like a really helpful plugin. Do you have an editor with it in use so that we could take a look at how to use it properly? I am pretty lost on most plugins without some view of the editor or tutorial of its use.